Die Mulis grasen am See. Der Jirishanca kratzt die Wolken. 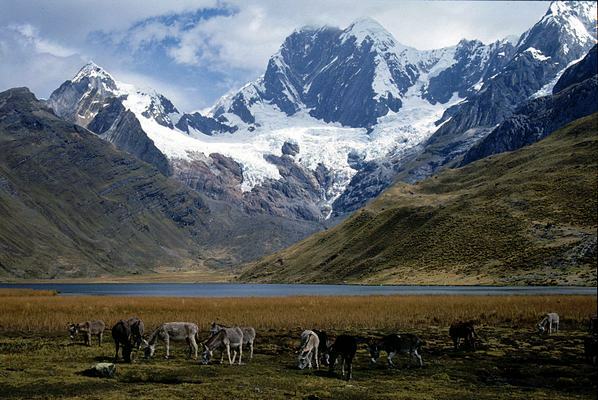 our burros at the shore of Mitococha lake. Jirishanca scratches the clouds.